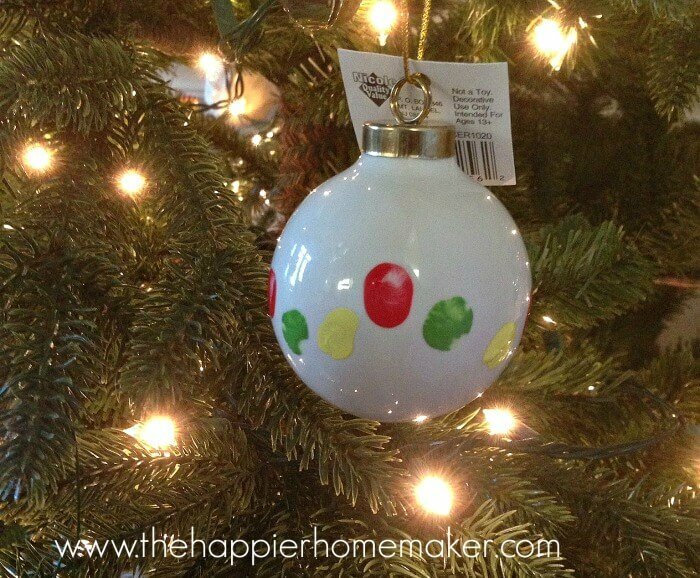 We made it to the final day of the 12 Days of Christmas Ornaments!! I don’t know about you but I am exhausted! 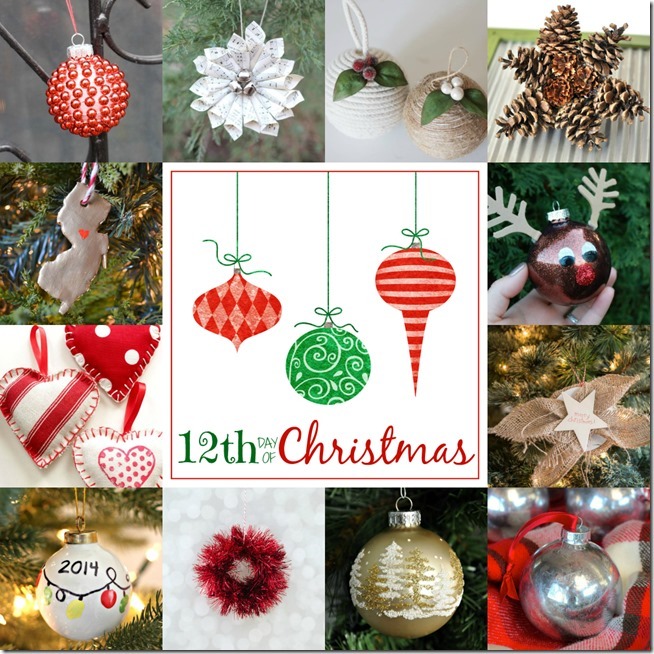 I hope you all have enjoyed the inspiration we’ve been sharing-now you have a grand total of 144 DIY Ornament ideas-can you believe it? There has to be something for everyone in that mix! For my last ornament I wanted to create something sentimental so I made this cute kid’s fingerprint ornament and made the fingerprints look like Christmas lights! It’s very easy to make and would be such a cute keepsake or grandparent gift! 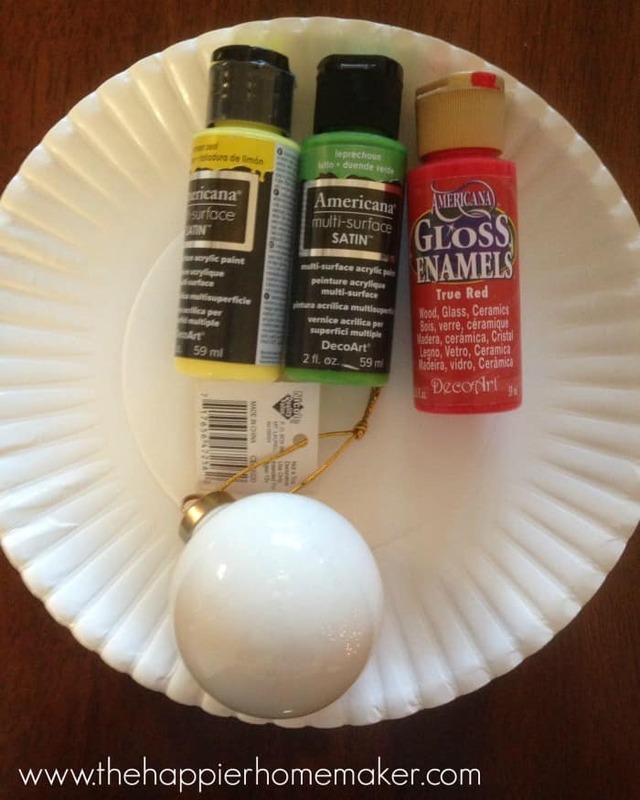 I hung my ornament on my tree to dry for about two hours…just be sure the paint is totally dry before continuing! …and string them together! That’s it! Now for the last of our 144 ornament ideas, thanks so much for joining us on this (very busy) 12 day adventure-if you have DIY ornaments you’d like to share we’d love for you to scroll down and link up your own!! I love these so much! I just finished making a bunch with our daughters for close family. I used acrylic paint, and it scratches off pretty easily. Is there anything you’d recommend applying to the fingerprints to keep them from scratching off? I’m not sure what the difference is-did you use craft paint suitable for ceramic? The ornament I used to make this tutorial is on my tree right now two years (and a transatlantic move) later and it’s not scratched or smeared at all. I did not seal it either. What kind of paint are you using? You’re using a ceramic ornament right? Not plastic? 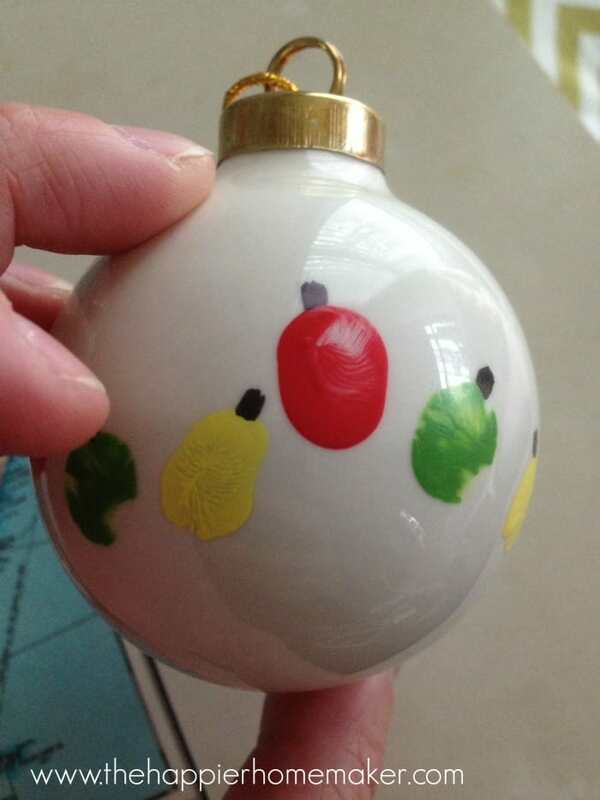 Where did you get plain ceramic Christmas ornaments? I’m having a really hard time finding ones and would love to do this. I found them at AC Moore Kari! I am having the same problem, paint chips off. 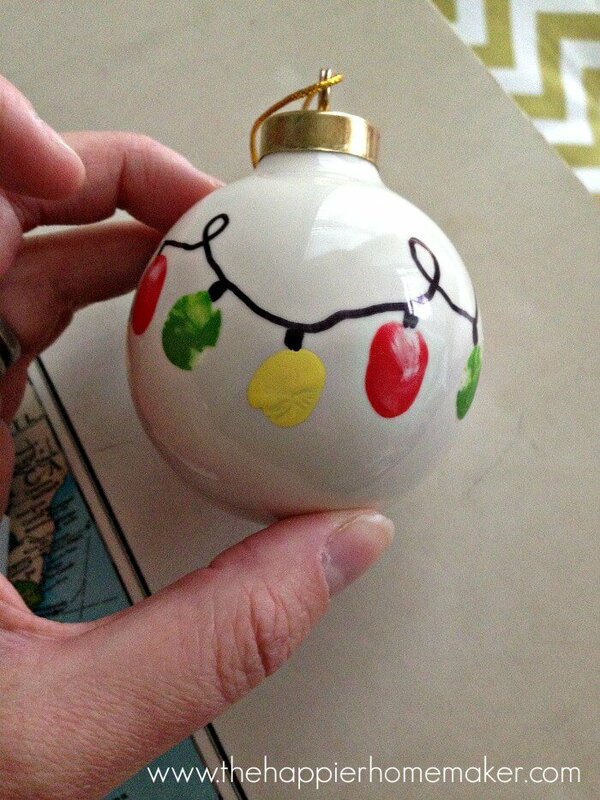 I used craft paint and a ceramic ornament. Maybe I used the wrong paint? 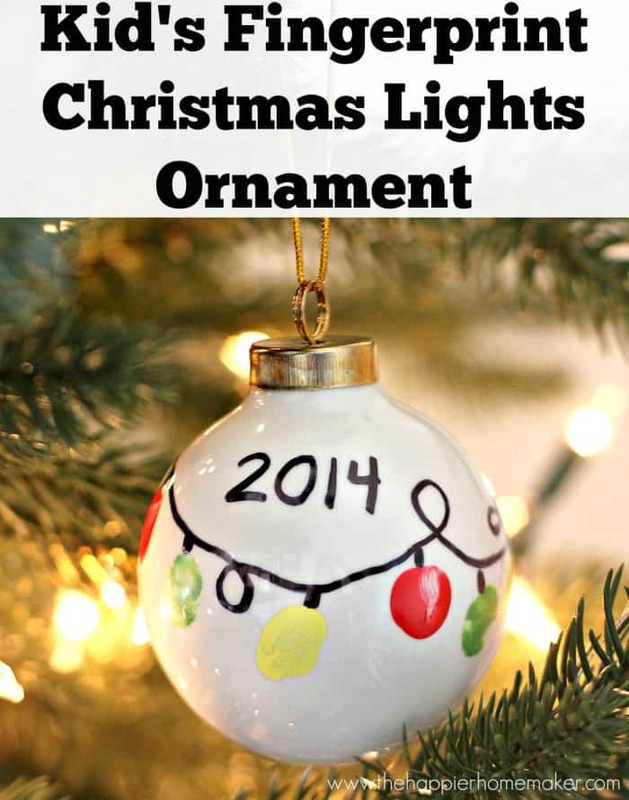 Any guidance would be helpful – we love this idea and are so excited to make them for family! Thank you so much for your reply. The brand is DecoArt -Americana and it is acrylic craft paint. It was purchased at Hobby Lobby I believe. The bulbs I am using are white glass. I want to add that it does take some effort on my part to get the paint off- ie: scratch with my fingernail. Really my biggest concern is that these are being shipped to relatives and I would hate for them to be worn off when they arrive. I tested out mod podge- waiting for it to dry to test the durability.